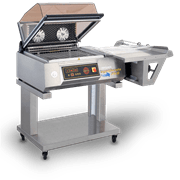 The best quality of a chamber wrapping machine is the ability to package products and heat shrink the film in a single solution, as a result of the shrinking chamber incorporated in the machine. This feature was a success when, forty years ago, minipack®-torre introduced the first chamber wrapping machine for small-medium businesses. 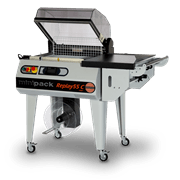 The compactness, accessibility and versatility of the machine created a small revolution in the packaging sector, introducing quality that is still appreciated in the market, even today. The pioneer features of the first chamber wrapping machines is confirmed in the most recent models of the range, which combine the tradition of excellence with the most recent technological innovations. In this article, we present three chamber wrapping machine models: one manual and two provided with an automatic packaging cycle option. Synthesis Inox is a manual chamber wrapping machine made with stainless steel parts, which make it the ideal solution for the food sector. Hygiene guaranteed by the material is additionally augmented by the absence of motors, fans and felt parts at the bottom of the chamber, which facilitate easy and perfect cleaning. 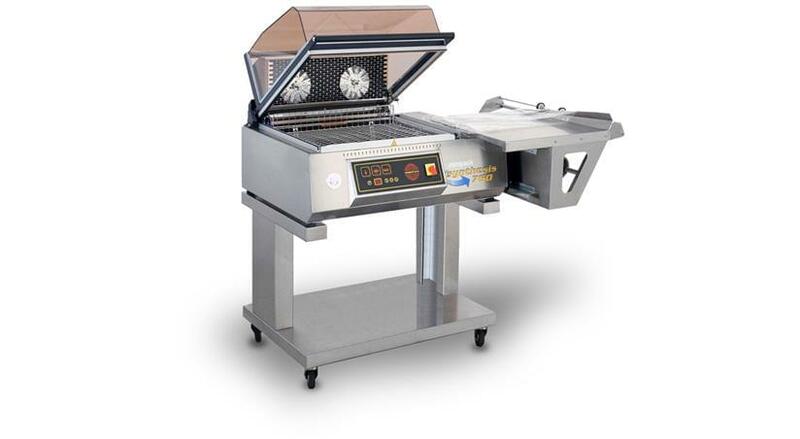 The numerous technological features are crowned by a display control panel that enables you to control every aspect of the machine’s operation. Dimensions of the sealing bars: 530x390 mm. 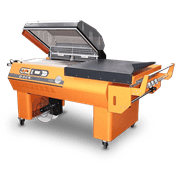 Replay 55C EVO is a chamber wrapping machine with the option of performing an automatic cycle: in fact, is it possible to program automatic operating cycles, at constant intervals, from the control panel display. It is also possible to operate the machine manually. One of the strong points of this packaging machine is its energy saving qualities: due to its ultra-performing steel resistance, Replay can reduce heating times up to 60%, heat shrink times up to 50% and energy impact up to 20%. Dimensions of the sealing bars: 540x390 mm. FC77A PLC, like the previous model, is a chamber wrapping machine that sets automatic cycles at programmed intervals. It is the top of the range among minipack®-torre chamber wrapping machines, equipped with advanced devices that optimise the entire packaging process: for example sealing bar cooling, which improves the sealing quality; independent packaging plate from the reel support, which enables you to change the product sizes without changing the film; and many more innovative features. Dimensions of the sealing bars: 840x590 mm. These models only represent a few of the chamber wrapping machines manufactured by minipack®-torre. To discover all the other models, visit the dedicated page. Enjoy browsing!